Cucumbers are the best summer foods the health benefits of cucumbers are just plentiful. It does not mean that they are only meant for summers. But eating cucumber in summers is one of the best summer tips. Crunchy crunchy cucumbers can be taken in a raw way. I just love it eating that way. 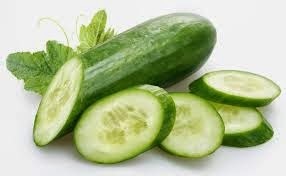 Here are some health benefits of cucumbers.